Do You Know What Volex Means? That's part of the reason I chose it. The reason I started the business was because I knew there was better way to build business. I knew that with the right team and the right skills, we could build websites that made a difference in businesses. Now we had to find a way to spread this to the world. How did we come up with the name Volex Design? Keep this in mind, this was a different company at the time. It was just me, Cameron Johnson, and I was running a Tech Repair Business that catered to small businesses all the way to larger corporations like Mohegan Sun. Have you ever used those cell phone Charging Stations inside of Mohegan Sun in Connecticut? I was the guy repairing those, and yes they broke a lot. At this time, I wanted to run a website design business but there was no way I was going to do it with no income. So I started a Tech Repair Business and called it WeFixit Tech Repair. I had a terrible logo and a business card that I thought was good at the time. You may even be able to find a remnant of the old logo online. Here is a copy of my old card, the logo is in the top left. 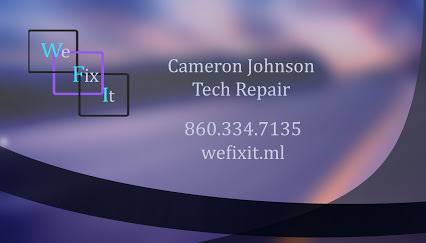 Once I raised enough capital I started WeFixIt Web Design and Tech Repair. At this time the Logo and name were still the same except now I was offering something really cool, website design! The first website I made was called CKI Caskets. It's still up and for a first site, it doesn't look that bad. Not really that responsive but it would direct you to a mobile website. After I started to get some business, I decided to get some help, and that's where, Brandon Lumbasi came in. We are kind of like family, in the same way that koalas and sugar gliders are family. At this point, I knew him really well because we actually lived with each other for a year. It's a very long story, one that you may get to read about on his blog: Lumbasi.com, which I would definitely go check out if you enjoy creative writing or looking for a professional writer. I called him up and asked said I needed someone with a creative talent who understood the internet and how to draw attention from each demographic. He was in. And thanks to him, our website has gotten to where it is now, and our websites have been getting better and better. 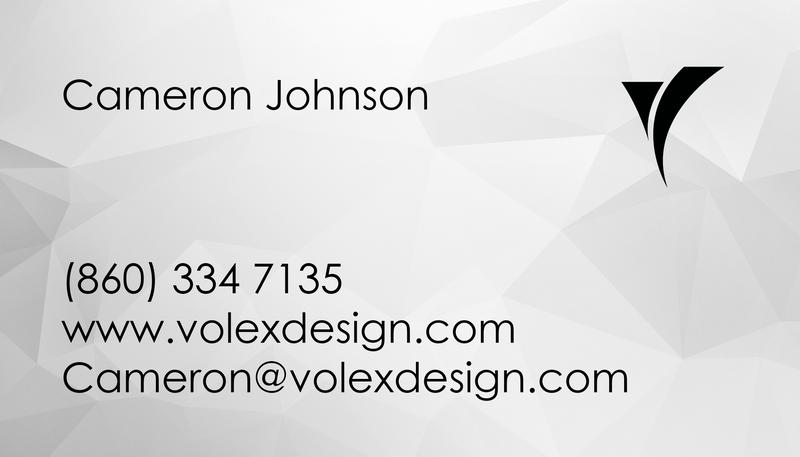 Okay so now you're caught up, now find out how we became Volex. A lot of Web Designers are well, great designers. Except that's it, they're just great designers. The design of a website is so important, although it's almost never executed properly. Because of the fact that the online market is now the largest market in the world, there isn't room to flake on. A website is built to make you money, not cost you money. That's when I had an idea. What if we could start a Website Design company in Connecticut, that always makes people money? Then I planned out who I needed, and what skills I needed to make this happen. This is a story for another time, short of it was, we found the words to live by in business. Movement defines the success of every business. Every successful company from Web Design Agency's, Grocery Stores, to Network Marketing companies, all had a rapid growth. That's exactly what we were going to do for all our clients! So we got it! We needed a name that meant rapid-movement. We didn't find any word that meant that, at least not one that sounded like a business name. I took way too much time on making a business name, twice as long as I spent on the logo. If you knew how much time I spent on just the logo, you'd think I went mad and for a short time I probably did. I scoured the internet, dictionaries, and constantly bothered my team for ideas. One day, I decided "Ok, this is what I have got to read through the entire Latin Dictionary until I find what I am looking for." I looked through a thesaurus for synonyms to movement and followed it up by scouring a dictionary, searching for all those words. A lot came up, I now see why almost every major language came from Latin. I had a few requirements for a business name. Most of all, people needed to know how to spell it. And then I found it. Velox. This word meant rapid, swift, and movement. It was two syllables, the letters were unusual and memorable. No one ever said, "that eagle is velox," velox was almost perfect. Only one minor issue, you couldn't easily spell it just by listening to the name. I also couldn't find a .COM domain that made sense. After talking to our Creative Director, Brandon Lumbasi, (The Writer of Lumbasi.com) he gave me some ideas that lead to Volex. I don't know why I didn't come up with it earlier, all we did was switch the e and the o.
Volex was exactly what we were looking for. After looking into the marketing side of things, we came to the obvious conclusion that we needed to add Design to it. And there it was, Volex turns into Volex Design. 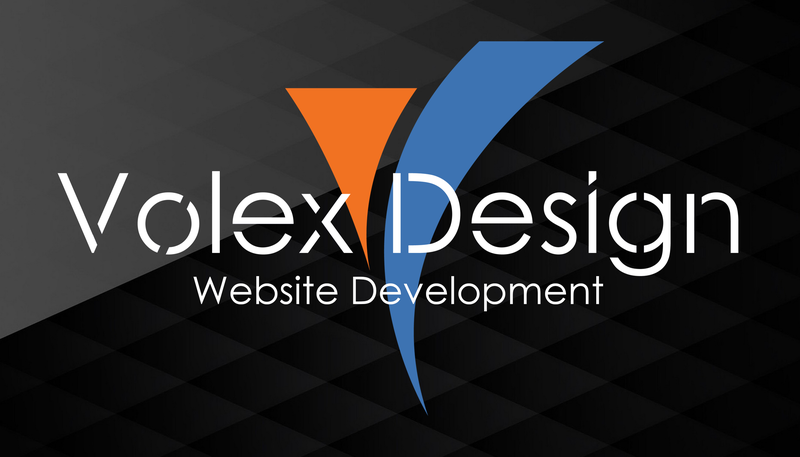 All the name requirements were met, I found the perfect domain, www.volexdesign.com. All that's left is changing absolutely everything I did before this. 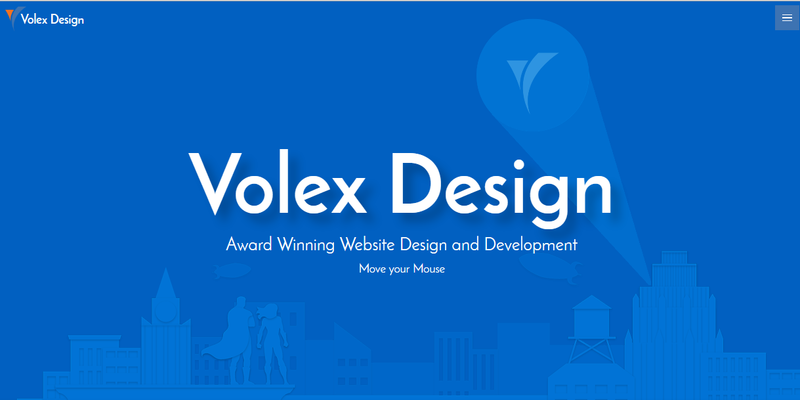 We had to move from WeFixIt Web Design and Tech Repair, to Volex Design. This was not fun. That's why I suggest taking all your time to pick the right name the first time. We had to do a step by step process to make this happen quickly. First I got all new business cards through GotPrint. I like using them because they have thick business cards with a nice texture at a really good price. Then I built a new website. This took a very long time. Updated Website again, you get the idea. Finally we got our name out there. Now with our new name, logo and website. We were off to the races. Our business' mission was to help local businesses in Connecticut make more money with a powerful website. And that's been our mission since.